Lets put an end to this nonsense, why should Sacramentans approve the construction of a new arena? If you build it, who will come? This master plan appears to be a major white elephant to satisfy the ego of the mayor and business investors. As a comparison, how has the city/community of Stockton benefited and been enriched by their new arenas? LOL - your post clearly illustrates you have no interest in actual discussion. Your opinion is obvious and are looking only for people to agree with you or for you to argue with. No kidding. For starters, how does not losing an NBA tenant sound? So it looks like the NBA season will not get started until Jan 2012 and even then they will try and only get maybe 50 games in if it happens at all. Didn't the Kings only get a 1 year reprieve? Or does not having a season (or full season) not matter when it comes to an arena. I can see the argument of why do we need an arena when these millionaires can't even negotiate a contract. Could be two entirely different subjects but an NBA lockout wouldn't seem to help any arena cause at this point. 2 totally different subjects. We got a 1-year window to get it done. Jobs, tax revenues, tourism dollars, increased convention business, etc. Are you saying don't make a bad deal or don't build an arena at all? There's a difference, especially if it's mostly private money involved. I can't wait to use light rail to go to a downtown event there. Stickton has been enriched by its arean. They're losing money, yes, but that's a byproduct of a poor financial setup, not a byproduct of the arena simply existing downtown. They have professional sporting events, better concerts, and a new activity center in a town that could use some better amenities. Arenas, built the right way do provide a benefit to local economies. Mayor KJ desrves KUDOS for pursuing this and trying to get this built without it affecting services. His plan will actually INCREASE tax revenues for Sacramento in the long run. The brillance behind this idea is that, those who won't use the Arena, won't be paying for the construction of it! Yet, these same people will get the benefit of the additional sales taxes it generates from people coming to events from out of Sacramento. I still can't believe there were people willing to raise their taxes in Folsom to build something in Sacramento and give all the revenue to the Maloofs! I would think that the majority of people that live in Folsom, 90-95 percent, do not ever attend a Kings game. Why should we pay taxes to help build and support a new arena? I go to help pay for it. I would concur with that. 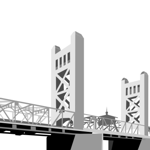 this here project is going to take the measure of the folks who live in and around Sacramento. do we have civic pride about what entertainment comes to or doesn't come this way. the mayors plan seems to be balanced and not taking advantage of tax payers and puts some responsibility on the folks who want to use the arena. the idea of building it when you step back is to make money, for the city, for business folks and for the folks like the kings which would use the thing. most folks, unless its our politicians , don't like to throw their money away so in the end the city should be better. if we get one old camey may just go a few more times. on the other hand if nothing happens living in a quiet place with rivers, trails lots of tv is not bad if we have more folks that want to vegitate rather than grow the city. SACRAMENTO, CA - An agreement for building a new entertainment and sports complex in Downtown Sacramento has been finalized, Mayor Kevin Johnson said. Johnson tweeted Saturday afternoon that an agreement has been reached between Ron Burkle, Mark Mastrov and Vivek Ranadive on a public-private partnership to build an arena at the Downtown Plaza and keep the Kings in Sacramento. Together, the group will invest $1 billion. All pending the agreement of the owners to sell to them, of course. This is just an agreement between the buyers to make a bid. Sacramento City counsel approves the arena deal 7-2 vote !!! I know so many Kings fans who will be thrilled with the approval for a new arena to be built. It will be interesting to see how it plays out in the long run in terms of bringing visitors and business to Downtown Sacramento. Also, what will happen to the old arena? The new owners of the team, regardless of who wins, will own it. Whether they do so themselves or sell it, I would expect it to be demolished and the land redeveloped in the end.